Determining if You Have a Birth Injury Case When the unthinkable happens and your child is injured at birth, you need to find out if you have a birth injury case. Watch this video to learn more. In recent years, medical interventions during pregnancy and birth have become more and more common. However, while procedures like C-sections and interventions such as induced labor and continuous electronic fetal monitoring can be life-saving under the right circumstances, when unnecessary, they not only fail to improve the outcomes for mother and child, but they may actually put them at greater risk. Knowing which procedures to accept and which to refuse can be difficult. Doctors may suggest interventions that make pregnancy and childbirth more expedient and predictable for themselves and their staff but aren't medically necessary. Episiotomies. A small surgical cut to enlarge the vaginal opening, an episiotomy may be required in cases where the fetus is in distress, necessitating a quick delivery. However, routine episiotomies cause unnecessary damage to the perineal area and lengthen the time it takes to recover from childbirth. Elective early deliveries. While choosing a child's birth date may be appealing, full-term babies (those born at 39 weeks or later) have fewer health issues. Induced labor. 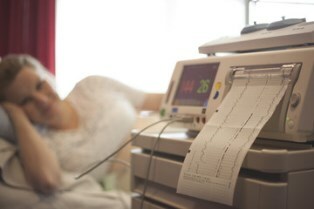 Induction results in stronger, more painful contractions and requires women to be hooked up to a continuous electronic fetal monitor while giving birth. Continuous electronic fetal monitoring. Being connected to a continuous electronic fetal monitor restricts movement and doesn't reduce the risk of negative outcomes in most cases. Ultrasounds after 24 weeks. Ultrasounds performed after the 24th week rarely provide any reliable new information about the baby's size, due date, or health. Early epidurals. Epidurals can slow labor and make it difficult to push. C-sections. Major abdominal surgeries, C-sections carry surgical risks and may make future vaginal births more difficult. If your baby sustained a birth injury as a result of an unnecessary medical procedure or intervention, you may be entitled to compensation. Contact Holton Law Firm to schedule a free analysis of your potential birth injury case.